Russell Estate Auction — Harritt Group, Inc. Selling the lifetime collection of the late Carolyn Russell including Nissan Altima, antiques, collectibles & household items. Auction located off Hamburg Pike in Jeffersonville. 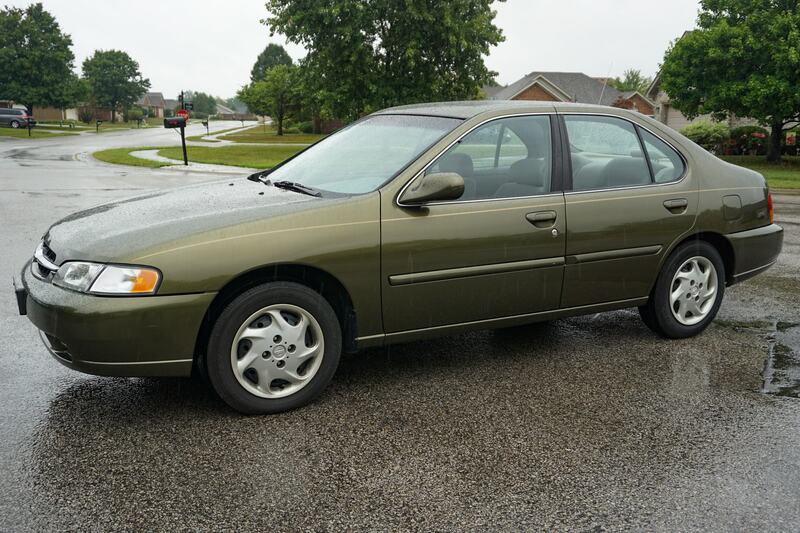 1998 Nissan Altima GXE 4-door sedan w/ 30,400 miles. 1800’s cherry glove box chest of drawers, cherry dry sink w/turned legs, petite 1920’s china cabinet, Victorian 3-drawer chest, early primitive drop leaf table, dovetailed immigrants trunk, turned leg cherry stand table, 1800’s spool trundle bed, antique full size bed, small blanket chest, sewing chest, Queen Anne dining table w/4 chairs, dovetailed dough box, iron sewing base w/marble top, antique mirrors, youth carpet rocker, Lincoln rocker, pine corner china cabinet, Willett cherry 3-piece coffee & end table set, assorted chairs & more. Antique bass fiddle, spinning wheel, Waltham silver pocket watch & ladies 14K gold wrist watch, 20+ West German Goebel hummels, (2) Zimmerman snowmen, sterling, gold & costume jewelry, jewelry boxes, quilts, large selection of glassware, Vienna wall regulator clock, wood figurines, baskets, wood buckets, rolling pins, handmade antique virginal keyboard, 1800’s inlaid lap desk, slag glass table lamp, 1934 standing Liberty half dollar, primitive wood shovel, figurines, cast iron toy horse, reproduction rocking horse, linens, prints, stoneware churn & more collectible items. Lazy Boy overstuffed sofa & loveseat, Lazy Boy wingback recliner, flat screen TV, full size sleigh bed, kitchenwares, small appliances, iron patio furniture, cube deepfreeze, yard tools, very large selection of Christmas decor and many more common household items. East on Veterans Parkway to right on Hamburg Pike. Left on Elk Pointe Blvd. to right on Summerlin Place to right on Norma Drive to Norma Court. Auction on right.